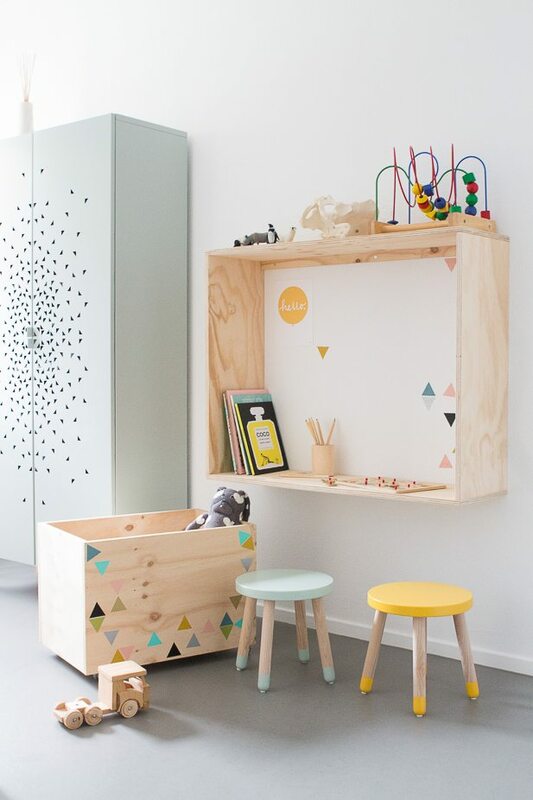 Kids Playroom- Yes or No!? Now that we are rounding the corner on sickness in our home I’m slowly transitioning out of survival mode.. It’s one thing when mum is sick.. I generally keep going on with life and work.. but when you’re little one is sick you want to wrap them up in bubble wrap and rock them to bed.. while simultaneously wanting to throw them out the window.. well.. not really.. but you get the idea..
Miss Ava came down (for the first time) with the cold sore virus.. eek.. I know.. It runs in our family.. like W.H.O.L.E Family.. so it was inevitable, but it was so terrible. Apparently (from what I read on Dr. Google) the first time they get the virus it’s really bad.. and trust me.. it was really bad. She didn’t want to eat.. her throat was sore.. she had canker sores in her mouth on top of cold sores.. we’re still coming out of the whole event but it’s a lot better compared to what it was! Side note here.. Ava normally has a dummy (pacifier) when she goes to bed- so nap times and night time, however we sometimes end up using it to keep her quiet during church or lunch.. I recently found out Greg gives her the dummy in the car on the way to drop her to my mum.. Insert double frowning face here..
Anyways.. I had an ah hah moment last week that the dummy was probably not helping the cold sores get better as it was constantly rubbing up against them..so while in the car one drive I took Ava’s dummy and told her that her Na-Na (Dummy) was going Bye-bye.. and that she needs to wave Bye-Bye to her Na-Na.. well she waved bye-bye and then didn’t asking me for it again.. she probably has asked us for it twice in the last 4 days.. I don’t know if I’m dreaming or if my child is a genius.. whatever it is we are off the na-na!! What the?! Yeah.. call me the baby genius or something.. let’s see if we can get her to read by the time she’s one and a half! My advice is- if your child is old enough to understand the concept of something or someone going goodbye or bye-bye then they are ready to understand the concept of something being taken from them. Anyways.. back on to recovery mode.. now that Miss Ava is feeling a lot better I am starting to notice that her normal toys are not cutting it for her. We used to carry toys around in the bottom of the pram but these are the same toys she played with when she was 6 months old.. I know.. we’re bad parents.. I created a little alphabet book for her (not that it’s working)- every animal in the book is a dodo (dog).. Lord help us.. soooooo..I’ve been toying with the idea of a playroom.. We have a three bedroom home so if we did create a playroom we would lose this spare bedroom.. OR.. we could move a pull out lounge that we have into the playroom for guests to use when they are over… I would love everyone’s thoughts and suggestions! I’ve highlighted some of my favourite playrooms that I’ve seen around the web! There are some really great ideas for functional yet fun rooms! Designing anything for Miss Ava sends me into a pinning frenzy…! !